Now so far, gluten-free baking is still new to me. I’ve had some utter disasters, so I’m still sticking pretty close to the recipes of other people. So far, the majority of the recipes in this cookbook have been overwhelmingly winners. I can highly recommend it as a good starting cookbook for gluten-free baking — it doesn’t teach you all the science, but the recipes are straightforward and (best of all) WORK. Doughnuts were one of the family food traditions that center on my dad, not my mom. No matter where we were for vacation, my father somehow managed to drive past a doughnut place on the way into town. Now, if you live in the Northeast where there’s a Dunkin’ Doughnuts at least every mile, that’s not all that impressive. We didn’t, and it was a skill. Incapable of moderation, he always bought at least a dozen doughnuts our first morning of vacation, for three people — because, again, my mother didn’t like them. We spent a lot of family vacations on a total sugar high. Now, even if you aren’t gluten-free, if you have food allergies, most doughnuts are off the table. Most bakeries use nuts, eggs, and dairy, and don’t use allergen-safe food practices, so they’re danger zones. If you’re lucky, and live in NYC, LA, or Orlando, you have access to a Babycakes bakery. If you live elsewhere, you have their cookbooks, including Babycakes Covers the Classics, which includes doughnuts. First: You MUST have doughnut pans for this! I have one large doughnut pan that makes 6, and a small one that makes 12. 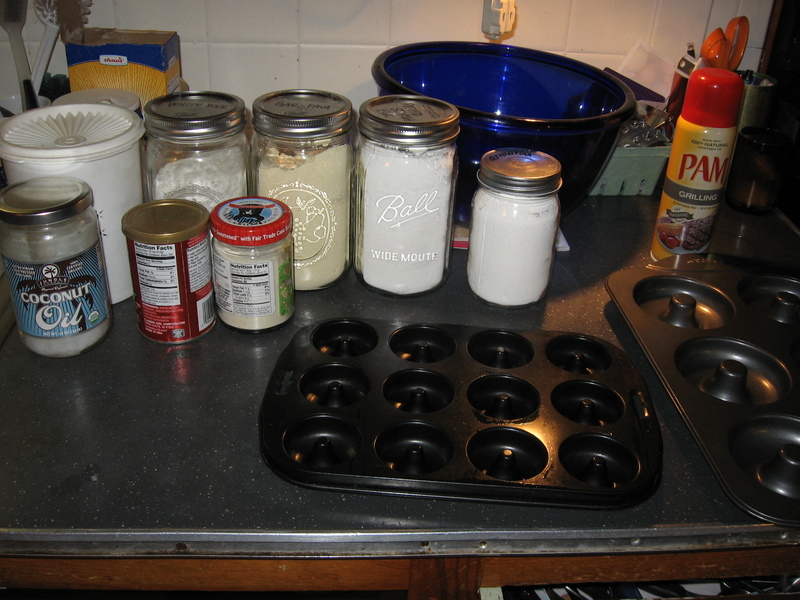 This is perfect for one recipe of doughnuts. The cookbook will tell you to grease your pans with melted coconut oil. I use Pam for Grilling (does not contain soy) for all my pan greasing needs, for lo, I am lazy. Also, I always miss spots otherwise. Add wet ingredients and mix until just combined thoroughly. A note about measuring — Erin McKenna uses ONLY dry measuring cups for all recipes, so you might want to do the same. 12 small. Which is perfect. 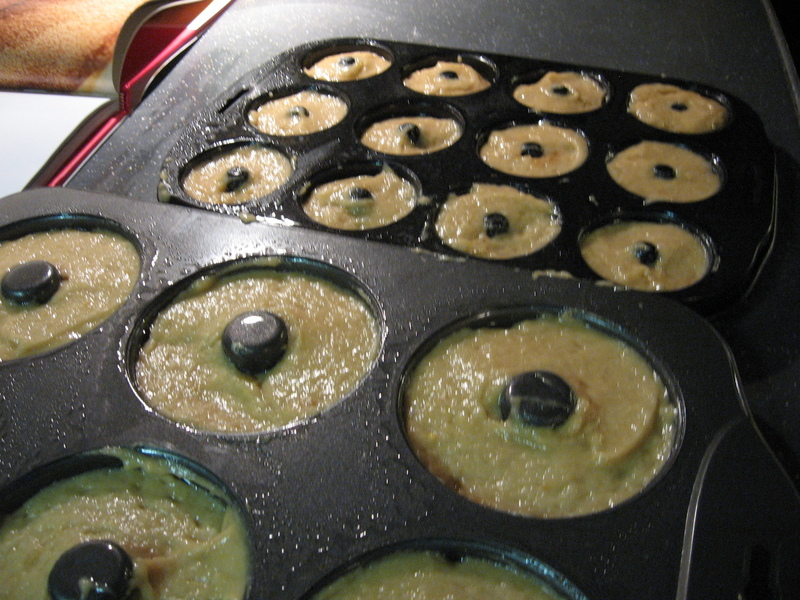 Smooth out your batter, and bake for about 15 minutes, until doughnuts are golden. In my (not extensive) experience, browning is not a good sign of “done” for gluten-free baking, so use a toothpick to test. Let them rest in the pan for 5-10 minutes and then cool. If you’re going to use a granulated sugar topping (like cinnamon sugar), do it when the doughnuts are still mostly hot. I prefer powdered sugar, and it seems to stick best when the doughnuts are just barely warm. Chocolate ganache and sprinkles are also a big winner. These are fine hot, but what makes this my favorite recipe is that I think they actually taste best if you make them the night before you want to eat them. Assuming these were the ones I tried a few weeks ago, they’re pretty delicious! Yep, they were the brunch doughnuts. And thanks! 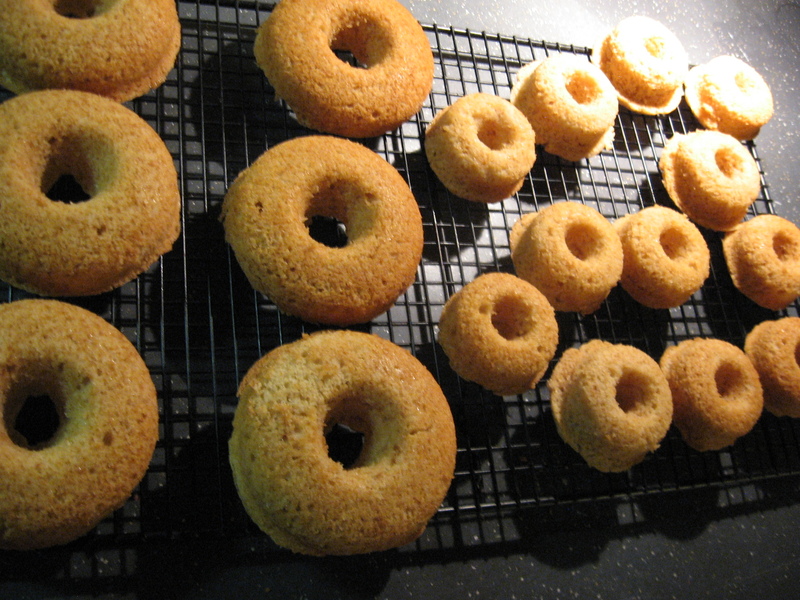 This is my best doughnut recipe.